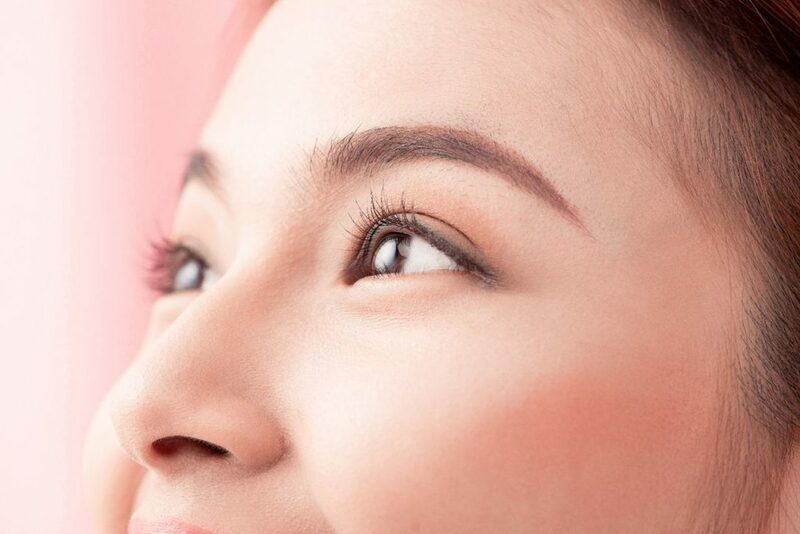 You might have heard of eyebrow embroidery in Singapore, and come across lists of the best microblading experts on our little red dot. But how do you tell one brow technique from the next, when bombarded with a deluge of ads, social media posts and articles on the best treatment to give you brows with more oomph. Here at Erabelle, our brow artisans specialise in creating bespoke brows using a soft-shading technique called Erabrow – which combines the micro-sharing technique with soft-strokes technique for a multi-dimensional effect. This gentler brow technique achieves natural-looking, semi-permanent eyebrow makeup that never makes the wearer appear in a state of perennial bemusement, and allows one to look polished 24/7. 1. What is eyebrow embroidery? Remember those frightfully green-tinted eyebrow tattoos of yore, that last a lifetime? Well, eyebrow embroidery is a happy in-between because the pigments do not penetrate the dermis — the lower layer of cells that make up our skin. Instead, the effects last for about two years with the flexibility to tweak the results depending on your hair colour, skin tone, features or even profession. Brow embroidery is a generic term encompassing treatments that add coloured pigment to fill in eyebrows. However, there are several techniques that fall under this broad category, as detailed below. Like its name implies, microblading fills in sparse eyebrows by depositing colour pigments into the skin using a pen-like, mini-blade. Usually, the brow area is numbed using numbing cream, before each stroke is created. The sensation can be somewhat intense for those with a lower threshold for pain – imagine your skin being “scratched” multiple times with this tiny blade. The upside: microblading simulates individual strands of hair. However, if it is not performed by a skilled therapist or the pigment used is of an inferior quality, this multi-dimensional effect may smudge over time into an area of flat colour. Sometimes, classic microblading that is not properly executed may result in thick, strong strokes that fail to resemble softly tapered strands of hair; worse, the badly-drawn lines form into a net-like look instead. 3. What is microshading, and its next gen sibling – soft-shading? Finally, there’s microshading – which uses pin-point dots of pigment to fill in the brows, as compared to the hair-like strokes associated with microblading. And Erabelle has elevated this technique, suitable for sensitive skin types, to customise eyebrow shapes that accentuate your face with its signature service: soft-shading. The Erabelle soft-shading process involves the use of a handheld German-made micropen to create a natural, filled-in effect that lasts for up to two years. Our Erabelle brow artists have perfected this soft-shading technique to create a precise, three-dimensional, ombre effect: Think subtle, powdered-in shapely brows, with a subtle inner colouration and a clear tail. This is achieved through repetitive dots of pigment, instead of the ouch-inducing strokes involved with microblading. The gentler technique is also more recommended for those with sensitive and oily skin types. Ready to experience the Erabelle Cosmetic Artistry difference? Make an appointment with us now to learn more about our expertise in soft-shading.